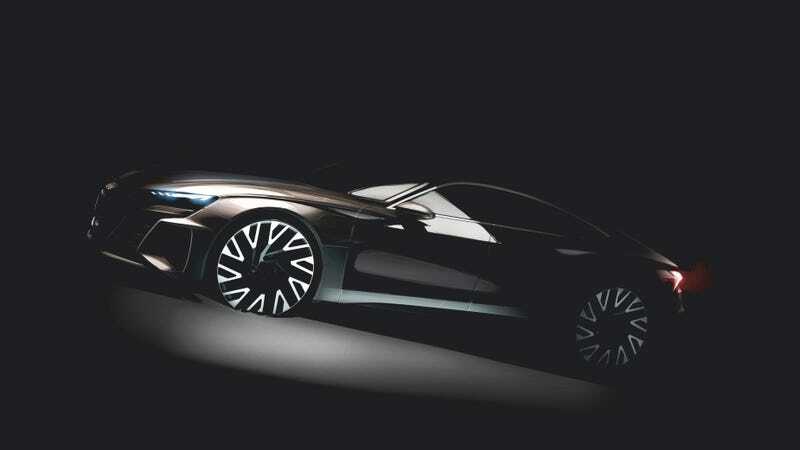 Yes, that image above of the Audi e-tron GT is just a heavily shadowed teaser. But it looks cool, has four doors and is all-electric. And Audi said today that it would make it happen. This is all part of Audi’s planned electric future, in which the automaker will offer over 20 electric cars that will make up for more than a third of its sales by 2025. The lovely e-tron GT will be the “four-door Gran Turismo with purely electric drive,” the company reported today via a press release. Production is slated to begin in the early 2020s. “We interpret sportiness very progressively with our fully electric e-tron GT, and this is how we will take our high-performance brand Audi Sport into the future,” Rupert Stadler, Audi AG’s chairman of the board of management, said. The e-tron GT, like Porsche’s Mission E and the Tesla Model S, will occupy the space in the market that wants for sleek and sporty electric cars, different from the funky and blocky ones that the Volkswagen ID family will offer. As a general fan of long rooflines and flowing design, this makes me happy. I have no idea if the production version of the e-tron GT will look anything like that teaser, but I really hope it does.